Over 40 street hawkers have submitted a petition to the Prime Minister requesting permission to sell food items on the streets of Thimphu. The police, trade department under economic affairs ministry, BAFRA, and Thimphu Thromde had ordered the street hawkers to stop selling food items along the streets, earlier this month. “We had requested trade, thromde, BAFRA and RBP. But, we were told to get permission from the higher authority. That’s why we put the petition to the Prime Minister,” said one of the street hawkers in Thimphu, Tshering Lhamo. She also said selling Thukpa was the only source of income for her. “The police told us that we were responsible for the increasing crime rates in the city. They also did not allow us to speak during the meeting,” said Tshering Lhamo. 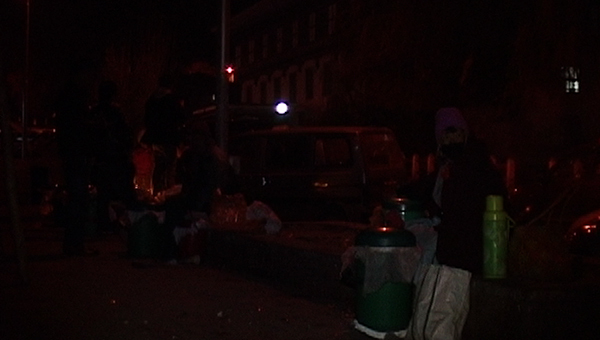 Others say if they are found selling food items on the streets, it gets seized and disposed off. A few of them say the decision with ad-hoc and did not involve them. “We were asked to come for a meeting one evening. During the meeting, the Chief of Police told us we are not allowed to sell food items on the streets. He warned us saying if we are found selling for the first time, our food items will be disposed off. The second time, he warned us, a fine will be imposed on us. 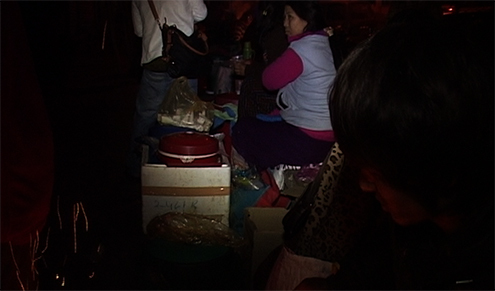 The third time, we will be detained,” said another street hawker, Ugyen Lhendup. The Chief of Police, Brigadier Kipchu Namgyel attributes the increase in the crime rates to street hawkers. He said, because of them, more people are spending longer hours in the city. The Chief also said the street hawkers, about six of them, were allowed to speak during the meeting. The Joint Secretary of the Department of Trade, Sonam P.Wangdi said they issue licenses to only those who have fixed location to sell food items. He also said the issue of street hawkers is under the purview of thromde. BBS was unable to get in touch with the Thimphu Thromde. To every higher authority, please be good to people before we see the dark side of Bhutanese people. Selling=earning=money=Happiness and order=strictrules=ignorance=NOMORE GNH people.